It’s the most wonderful time of the year for home decor shopping: Wayfair’s Way Day sale, beginning on April 10, offers steep discounts on all your favorite home items. 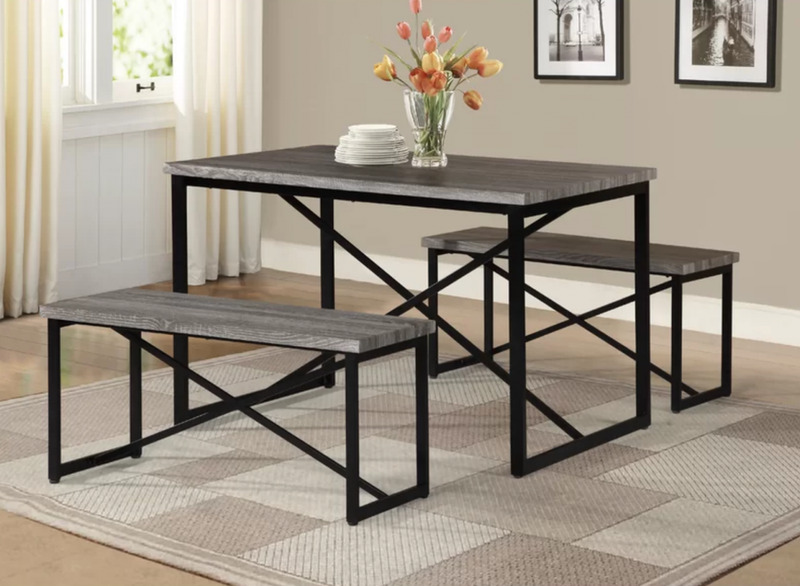 To ring in the savings, the online retailer is offering preview sales on select pieces, including dining room furniture. We’ve rounded up our favorites. Wine and dine your dinner guests with the Greyleigh Crofton Bar Cart, which features plenty of space for your favorite liquors and a glass rack for the ultimate bar display. Normally $225, the Greyleigh Crofton Bar Cart is on sale now for $126. Upgrade your dining room with this rustic chic table from Mistana. Normally $1,760, the Mistana Abbey Extendable Dining Table is available now for $820. For smaller spaces, the Williston Forge Bearden Three Piece Dining Set has everything you need for an intimate dinner party with friends. Normally $260, the Williston Forge Bearden Three Piece Dining Set is available now for $225. Every dining room needs a buffet table, and this one from Charlton Home has just the right amount of storage without taking up too much space. Normally $468, the Charlton Home Siloam Buffet Table is available now for $205. If you’re looking for a neutral upholstered dining chair to add to your tablescape, this handsome offering from Brayden Studio is a great choice. Normally $350, the Brayden Studio Isidora Upholstered Dining Chair is available now for $283. If you need extra storage for your fine china and other dining essentials, Lark Manor’s four door cabinet is the perfect addition to your dining space. The Lark Manor Kara Four Door Accent Cabinet is available now for $470.